SORRY - Brodies weather station is very broken at present. Weather is generally variable with some sun and rain! Click on this picture for a daily list of the weather. Click on this picture for monthly charts. 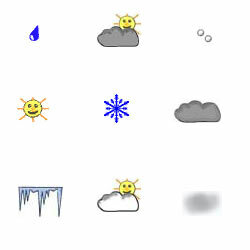 Click on this picture for weather pictures.